The City Temple of Baltimore (Baptist) is a historic landmark and should be preserved. The church was built in 1868 - 1871 and is the only structure in Baltimore designed by Thomas U. Walter, architect of the Dome and the House and Senate wings of the United States Capitol, and a founder of the American Institute of Architects. Declared one of the 13 landmark buildings in Baltimore City, the Temple's majestic Gothic structure and its spire does much to add attractiveness and historic value to the neighborhood. As an integral part of the Baltimore City community, the Temple has provided an array of services through its Inner City Ministry program. The doors of the Temple were opened to the sorrowful; thousands of meals have been served to the hungry, clothing has been given to the needy, the homeless have been assisted in finding shelter, visitations have been made to hospitals and jails. "Our hearts are aglow with joy, gratitude, humility and expectancy. Like Abraham, we went out, not knowing where we were going. We continue to face the challenges and difficulties of the future with the assurance that God is our help in ages past and our hope for years to come. May God ever use us every one as instruments of His peace." Reverend William W. Payne, led by the Holy Spirit on June 20, 1970, announced his intent to resign from a congregation of twenty-three years to inaugurate a ministry to show spiritual and social concern for the rejected and neglected of the Inner City. In this "Impossible Dream" Pastor Payne envisioned a ministry in which the hungry would be fed, the naked would be clothed, the homeless would be sheltered, and the alcoholics and the drug addicts would be served and loved. Several members of the former congregation expressed their desire to share this ministry of love and concern, and met with the pastor to pledge their support in the pursuit of this "Impossible Dream" in a meeting in the home of Pastor William Payne. A temporary place of worship was secured by Mrs. Elizabeth Logan, which became known as the Upper Room, at 745 W. Baltimore Street. At a meeting held on September 29, 1970, Pastor Payne suggested, and it was agreed, that the name of the congregation would be The City Temple of Baltimore (Baptist). The congregation suggested that the pastor would be the Reverend William W. Payne. It was also stated at this meeting that strong emphasis would be placed on Worship, Study, Soul Winning, Tithing and Giving Service to Those In Need. All members in this ministry were urged to enroll in Sunday School. Reverend Payne stated that part of this dream was a settlement house. The settlement house would be called "A House of Hope" where all people could come. The House would be a separate entity from the church. Mrs. Zadie Simon proceeded to look for a place to begin the clothing distribution. She was instrumental in securing the vacant Summers Norwood Florist Shop, where Mr. Carl Norwood, a Deacon at Faith Baptist Church, donated the florist shop for the clothing ministry free of charge. In the meantime worship services were held at the Old University Hall. The first officers were: (Deacons) Mr. William Boyd, Mr. Clifton White, Mr. David Rather, Mr. Royster Gant, Mr. William Taylor, Mr. Reginald Trusty and Mr. William Coleman; (Trustees) Mr. George D. Brown, Mr. Felix Hughey, Mr. Elmore Bowler, Mr. Samuel Washington, Mr. Walter McCants, Mr. Viller Brown, Mr. Herman C. Johnson and Mr. Jim Ivey. After much time, energy and prayer, the impossible became possible. The Lord touched not only the hearts of this small fellowship, but people from all walks of life who literally poured money into this new venture and within ninety days more than $30,000 was raised. The pulpit furniture was completely decayed; Mr. William Johnson, assisted by his son, Mr. Herman Johnson, restored and upholstered each chair with hobnails and trimmings. Mrs. Marjorie Roberson made all of the cushions for the pews. Shortly thereafter, "The City Temple of Baltimore (Baptist) was incorporated. The corporation included: Rev. William W. Payne, President; William H. Boyd, Secretary; Walter B. McCants, Treasurer; David Rather, Director; Royster Gant, Director. The newly formed congregation was duly chartered and incorporated as a body corporate under the laws of the State of Maryland. On Thanksgiving Day, November 26, 1970, the congregation of The City Temple of Baltimore (Baptist) made its triumphant entry into the current house of worship at Eutaw Place and Dolphin Street. Upon the invitation to Christian discipleship, more than 50 persons came forth. Within a few months, the Sunday School had an enrollment of 350 and the Sunday worship service averaged 700. The House of Hope at 1900 Eutaw Place was purchased from the Mitchell Funeral Home. The House of Hope relocated at 20th and Wolfe Streets on July 11, 1983. By 1981, 1,638+ souls had been added to our numbers and 750 candidates had been baptized. The doors of the Temple had been opened to the sorrowful to be given the comfort of the gospel without regard to race or creed. Thousands of meals had been given to the hungry by Mrs. Phyllis Womack, Mrs. Florine Trusty, Mr. John Segal, Mrs. Shirley Rice and Mr. William Boyd. Clothing had been given to the needy, initiated by Mrs. Zadie Simon and continued by Mrs. Mary Rich. The homeless were assisted in finding shelter; visitations were made to hospitals and jails; the addicts, the alcoholics and the emotionally disturbed were embraced in our Christian fellowship. The Eutaw Place Day Nursery was set up by Mrs. Elizabeth D. Logan and large numbers of children were enrolled as a courtesy to working mothers employed by the State and other agencies. Mrs. Logan also used her expertise in getting much of the legal litigation of the corporation done free of charge. 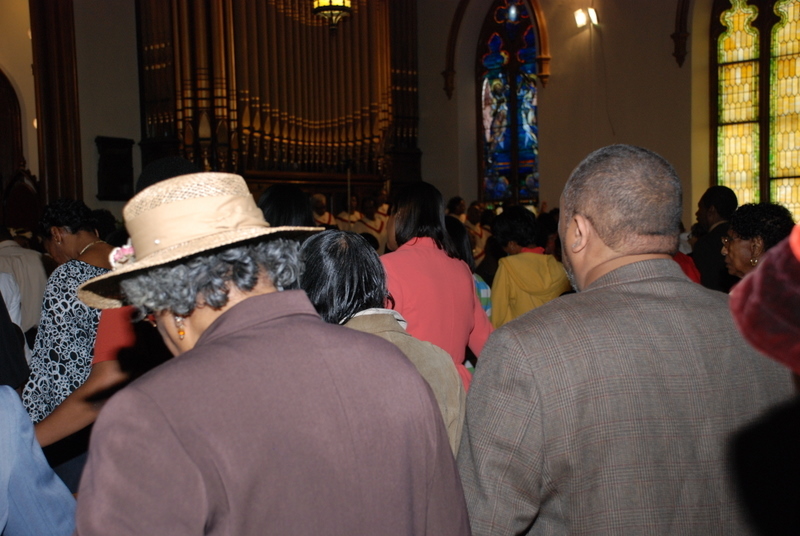 Mid-week, mid-city, mid-day worship services were held at the City Temple of Baltimore (Baptist) each Wednesday at 12:05 PM for all people who desired to unite with God and enjoy the fellowship of others who found these services uplifting, both spiritually and emotionally. The Lord blessed the Temple materially, also. The lot next door to the building was purchased from the City at a cost of $2,100. Necessary repairs were made to the roof and the ladies restroom was renovated. The funds were raised by Just We Few, with Mrs. Dora Hardee as Group Leader. Our mortgage was completely liquidated on December 14, 1981. A Restoration and Planning Corporation was formed in 1983 to meet the requirements of the State. The City Temple of Baltimore (Baptist) is a historical landmark and the church was blessed materially with a matching fund grant from the State of Maryland of $100,000 for the restoration of the exterior of the building. Because the Constitution states that churches cannot use State money for religious purposes, Pastor Payne appointed the following persons to work with the Corporation: Mr. William Harrington, Mrs. Lorena Branch, Mrs. Christine Moore, Mr. Viller Brown, Mr. Edward Holden, Mr. Charles Davenport, Mr. Herman C. Johnson and Mr. Francis White (President). On March 15, 1983, due to failing health, our Pastor and Founder of the "Impossible Dream" rendered his resignation as Pastor of the City Temple of Baltimore (Baptist). In this meeting, requested by Reverend William W. Payne, he became Pastor Emeritus; and, on June 26, 1983, a tribute was given in his honor. Following the retirement of Pastor William W. Payne, the "Impossible Dream" seemed a bit shattered due to decline in membership, spiritual nourishment and financial contributions. But, "God was not through with the Temple yet." Reverend Cecil McClary accepted the challenge and was chosen Pastor of City Temple. He resigned after serving one year. On November 24, 1984 a Pulpit Committee was selected to seek out a suitable pastor to be presented to the City Temple congregation. 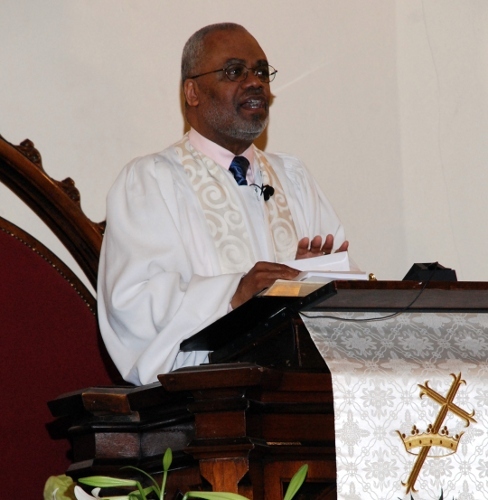 Because of Deacon William Boyd's experience, as chairman of the Official Board (although he had retired as Board Chairman), he was asked to serve as interim Chairman of the Board, and Reverend William W. Payne was asked to serve as interim Pastor during the period of the pulpit vacancy. Deacon Boyd and Reverend Payne accepted the appointments as Interim Chairman of the Board and Interim Pastor, respectively. But, due to the illness of Reverend W. W. Payne, Reverend Randolph Taylor, an associate minister of City Temple, actually served during the vacancy of the pulpit, with assistance from the Evangelists of City Temple and visiting ministers. On July 9, 1985, in a duly called Church wide Meeting of the congregation, Mr. Lewis Carr was elected Chairman of the Official Board and Mr. Charles Davenport was elected as the Vice Chairman. In a duly called Church wide Meeting, September 10, 1985, Reverend Grady A. Yeargin, Jr. was unanimously elected as Pastor of The City Temple of Baltimore (Baptist). He was officially installed on January 20, 1986 at 5:00 PM. Reverend Grady A. Yeargin, Jr. came to City Temple with the anointing of the Holy Spirit and experience of nine years in the Ministry. His sensitive spirit and servant heart has brought us a new dimension of spiritual nourishment and growth through worship, study and action. The state of the economy imposed greater demands on the Outreach Ministry sponsored by City Temple for assistance to the needy under the direction of Deacon Lewis Carr. By the grace of God and with the volunteers of Mrs. Pearl Giles and Mr. James McCoy in the Temple Soup Kitchen at 317 Dolphin Street, and Mrs. Shirley Rice, in the House of Hope Soup Kitchen at 906 Wolfe Street, 200 persons or more were fed daily. Mrs. Pearl Cartwright, a volunteer in the clothing program, distributed 100 articles of clothing weekly free of charge. Mrs. Zadie Simon and Mrs. Betty Johnson volunteered in the social service area of the ministry. Many other parishioners and friends volunteered with the Outreach Program which, since the sale of the House of Hope, has moved in its entirety to City Temple. The Restoration and Planning Committee completed the restoration of the exterior of City Temple in November, 1987 under the leadership of Pastor Grady A. Yeargin. Mrs. Lorena Branch and Mr. Edward B. Holden chaired the committee. 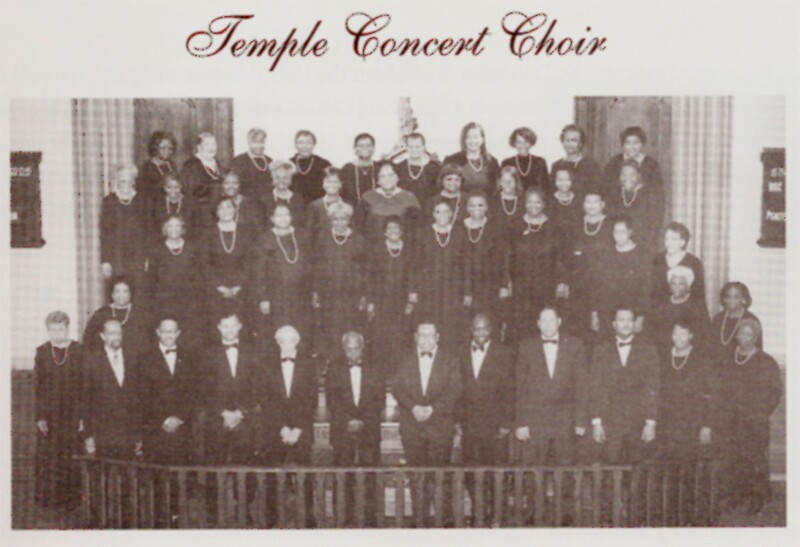 The completion and restoration project of the Temple Organ was celebrated November 15, 1987 with a Dedicatorial Recital presented by Kenneth M. Dean, Jr., Minister of Music at that time. The Building Committee, the B.U.I.L.D. Action Team and the Cultural and Fine Arts Committee are part of the continuing dream. In addition, the Board of Christian Education and Scholarship Committees were developed by Pastor Grady A. Yeargin, Jr., in January 1988. Realizing that there is a need to meet the increasing needs of our church and the greater Baltimore community, we felt that there was a new and greater challenge before us. It was with this need in mind that the church voted to become involved in a Capital Stewardship Improvement Program for a three year commitment by members of the congregation. We move on in Faith as We Continue to do His Will! This project was sponsored by the Young At Heart Seniors Ministry. Representatives from the Mayor's Office, City Council and State Government were in attendance (Mary Pat Clarke, Julian Lapides, Carl Stokes, etc.) A resolution from the City Council was read by Mary Pat Clarke. During the same event, Sis. Delores Royster made a presentation to Dea. Mattie Gladney and Bro. Herman Johnson for dedicated service. A special committee of church members was formed to raise money for the restoration of the church's pipe organ. This committee sold fish and chicken dinners for several weeks during the months of January through May, 1995 and on May 21, 1995 a financial report was presented to the congregation by Gladys Smith: $8,107.93 was collected ($ 1916.95 was used to install a new fryer; $618.00 was donated to the Concert Choir and $5573.48 was used for the organ). On June 11, 1995 the church celebrated Pastor's Appreciation Day and Rev. Grady A. Yeargin, Jr. was honored for 25 years in the ministry. One worship service was held at 10:00AM and was sponsored by The Pastor's Aid. The guest speaker was Rev. Dr. Fred L. Steen of Oberlin, Ohio (City Temple took 5 busloads to visit Rev. Steen's congregation in 1992). Rev. W.W. Payne was in attendance. "A 25-Year Journey" of Rev. Yeargin was presented by Mrs. Betty Johnson. Two presentations were made: Dea. Mattie Gladney made a presentation to the elevator and Rev. Yeargin and Gladys Smith (Trustees) presented $500 to the Organ Fund. On November 5, 1995, being led by the Holy Spirit, Rev. Grady A. Yeargin, Jr., Pastor, Rev. W. W. Payne, Pastor Emeritus, founders, sons/daughters, officers and members (100+) met on the Governor's Club parking lot to re-enact the march into City Temple as it took place 25 years ago. Leading us in song of praises were Rev. Yeargin and Bro. Frank White; then the march began up Eutaw Place with Rev. Yeargin, Rev. W.W. Payne, sons/daughters of founders who have passed on, officers. Following from that point came the members of the congregation singing "Marching to Zion" on this glorious crisp, sun shining fall morning. The history was given by Norman Johnson and Barreda Howell paid tribute and recognized the founders of City Temple. The congregation was then introduced to the 25th Anniversary Committee. The City Temple Development Corporation (CTDC) was formed to develop and implement educational, community programs, services and economic development projects for persons who require such support and services; encouraging independent living and improving quality of life to the extent of each person's capability. The first task of the Corporation was to construct the W. W. Payne Educational and Community Center. A multi-purpose building located on the parking lot adjacent to The Temple, the space is to be used to continue and expand existing services and develop new programs and services for the community. As we move ever-forward in our quest to fulfill the Vision, we continue our Inner City Ministry program (feed the hungry, clothe the naked). We have expanded this outreach to teach the unlearned. Preaching, music, bible study, Sunday school, Christian education, visitations and making a joyful noise unto the Lord brings us ever closer to becoming spiritually mature Christians and effective witnesses for Christ in this world. Rev. 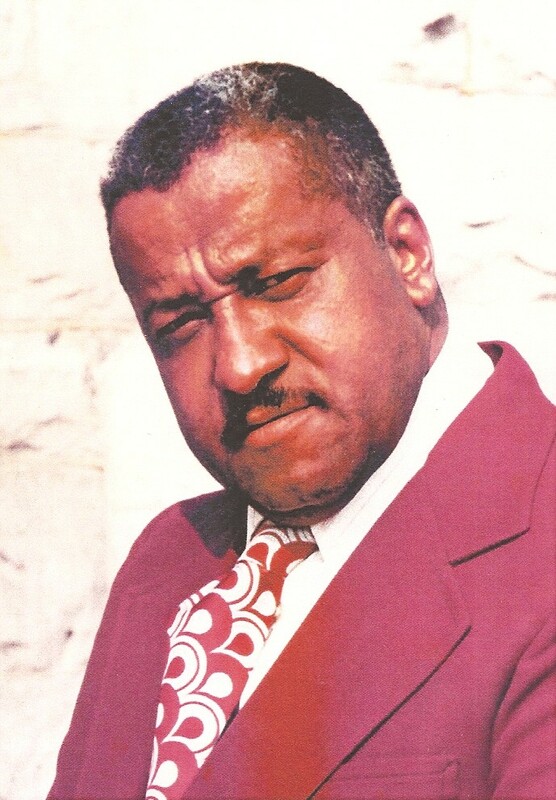 William Washington Payne, Jr.